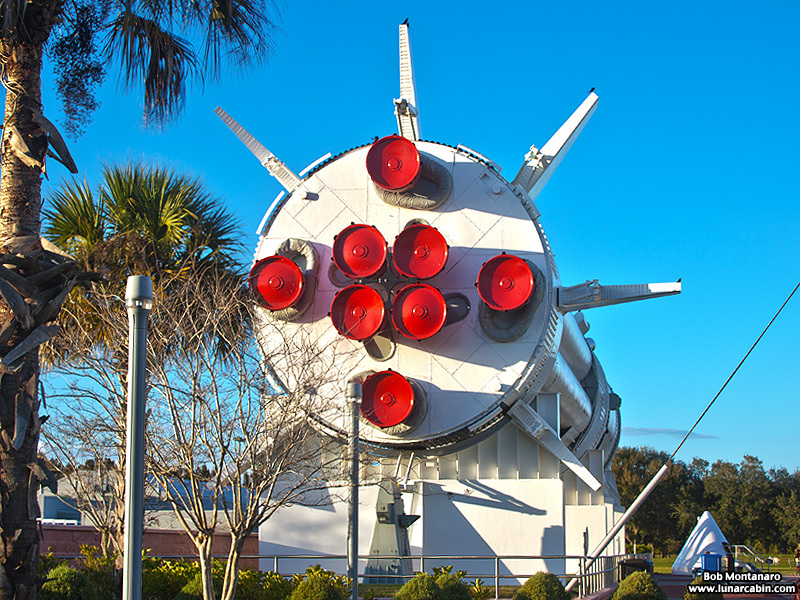 A Saturn 1B rocket of a type that flew from 1966 to 1975 reclines on its side in the Rocket Garden at the Kennedy Space Center Visitor Complex. This view is from the rear showing the cluster of engines used by its first stage booster. A Saturn 1B carried Apollo 7 into orbit on the first manned test of the Apollo spacecraft that would later take astronauts to the Moon. Other notable launches carried out by the Saturn 1B include all the manned flights to Skylab and the rendezvous with the Soviets in orbit for the Apollo-Soyuz Test Project.